For many Christians the idea of addiction recovery seems like a touchy-feely, self-help, un-Christian thing. With terminology that includes, “Higher Power,” “sponsor,” and “12 steps,” recovery can be unfamiliar and possibly threatening to some Christians. It is certainly possible to do recovery — submitting to the program and to a higher power and experiencing sobriety — without following Christ. But this does not make recovery anymore un-Christian than non-Christian couples remaining married ‘until death do they part‘ would make marriage un-Christian. For something to be un-Christian it would have to be contrary to the gospel. Even though the terms may seem foreign to some Christians, the key principles of recovery highlight significant realities that are contained in the gospel. The first reality — all of us are a mess. You may hide it, others may be in denial, but that will not change the fact that we are broken. This is the essential entrance exam both for Christians and those in recovery. The context for recovery is the realization of the prodigal son who knows that he has been fighting with pigs for sustenance. When a person does not view himself as a mess, he is more like the older brother who has all the riches at his disposal but remains aloof and on the outside. Jesus said, “Healthy people don’t need a doctor—sick people do. I have come to call not those who think they are righteous, but those who know they are sinners” (Mark 2:17 NLT). It is tragic that many in the church today do not deeply understand and appropriate this, but instead resemble the Pharisees rather than repentant sinners. Those truly engaged in recovery, on the other hand, grasp this reality very well. The second reality — I am responsible for this mess. Neither recovery nor the gospel allows a person to wallow in the blame game of victimhood. No matter how a person has been sinned against, he is responsible for his response. Even though others may have sinned against you, recovery only begins when you begin to struggle and repent of the character flaws that have developed as a result of your resentments. Jesus captured the essence of this idea with the admonition, “How can you think of saying to your friend, ‘Let me help you get rid of that speck in your eye,’ when you can’t see past the log in your own eye? Hypocrite! First get rid of the log in your own eye; then you will see well enough to deal with the speck in your friend’s eye” (Matthew 7:4-5 NLT). The third reality — the path to healing in recovery must be done with others. Meetings, fellowship, support and sponsors all demonstrate that in recovery healing does not happen alone. Unfortunately, this is an aspect that most of us in the church in the western world have abandoned. Even with small groups, men’s groups, and accountability partners, most men remain terribly isolated from others — especially when it comes to their problems. Men have been taught that it is not masculine but weak to be a broken mess. But to be isolated denies the reality that we all have blind spots that can only be exposed to us by other people. Furthermore, relationships provide the context for change. Just as we all get hurt by unhealthy relationships, healthy relationships heal. Sanctification and recovery do not take place without community. And the final reality of recovery — it must include a recognition of and submission to a spiritual reality. Of course, as Christians, we recognize that the only “higher power” is the one true God revealed in the bible. However, the generic language of recovery makes the steps palatable to those who are not convinced of this truth. The twelve steps of recovery reveal a very spiritual agenda. It is one that includes submission, confession, repentance, reconciliation, and deep character change. These demonstrate that an addict’s core problem is a commitment to self, and not addiction per se. Only by submitting to the One greater than self can the addict and the run of the mill sinner experience true inner healing. 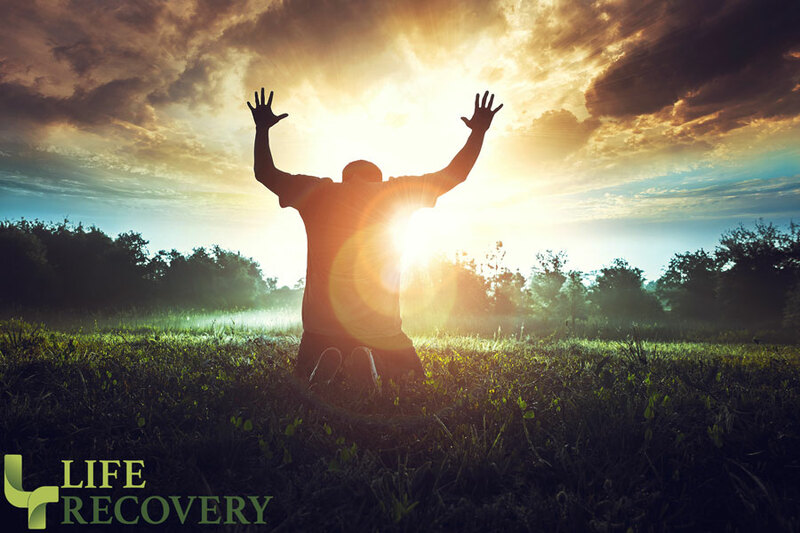 The essential feature of anyone’s recovery that makes it Christian is the person who is in recovery. Christ did not come to give us principles, a system, a cause, rules or many of the things that we have perverted his message into. Christ came to bring us back into relationship with God. Left to our own ingenuity, we have found so many different ways, including addictions, to run from him. But the story of the gospel is the story of God’s recovery of the human race to Himself!